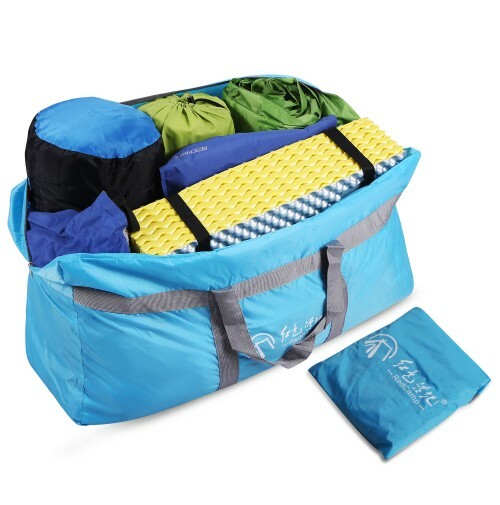 The REDCAMP Waterproof Large Duffel Bag is great for outdoor activities. 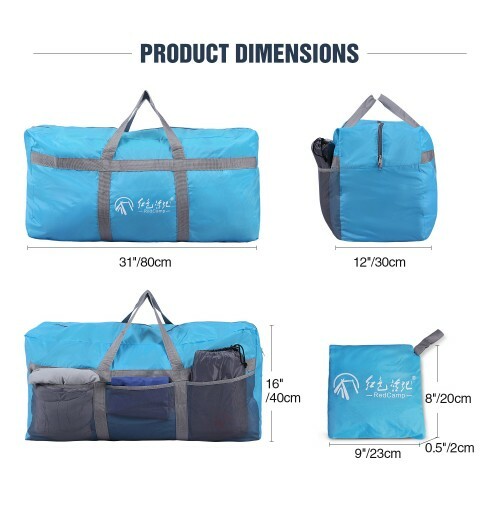 The Duffel Bag is extremely small and light that during your outdoor activities it feels invisible. 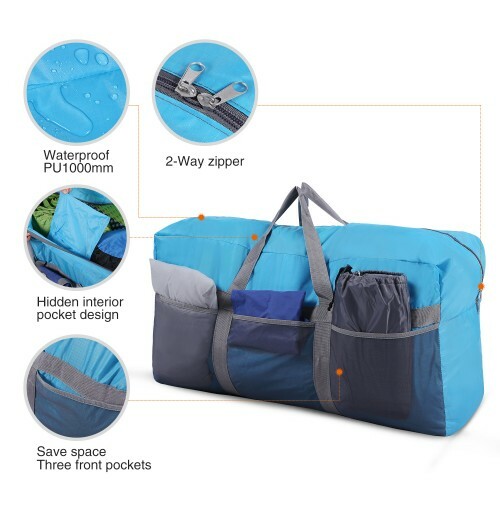 So feel free to BUY your Waterproof Duffel Bag and don’t forget your family and friends! 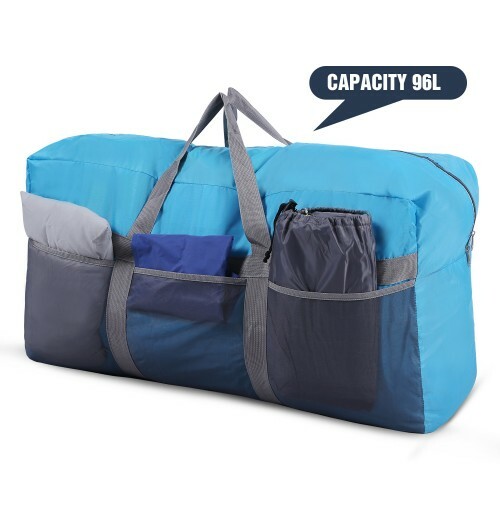 This Foldable duffel bag can hold a multitude of items, including clothing, bedding such a sleeping bags and ground pads, workout gear, baby playpens, groceries, and much more. 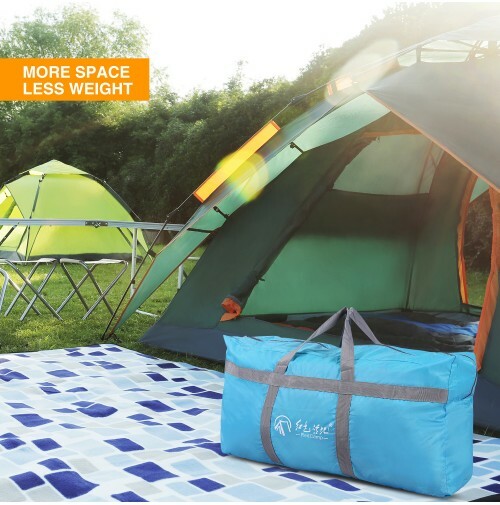 It’s also perfect for equipment that is used in sports and recreational activities like hockey, baseball, boating, fishing, paintball, and skiing. 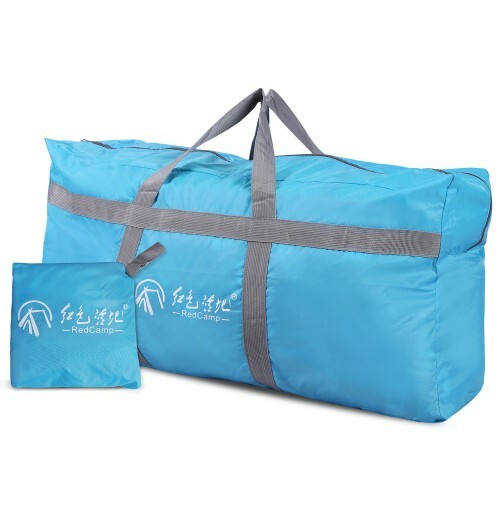 The smaller exterior pockets can accommodate toiletries, shoes, electronics, travel documents, toys, etc. 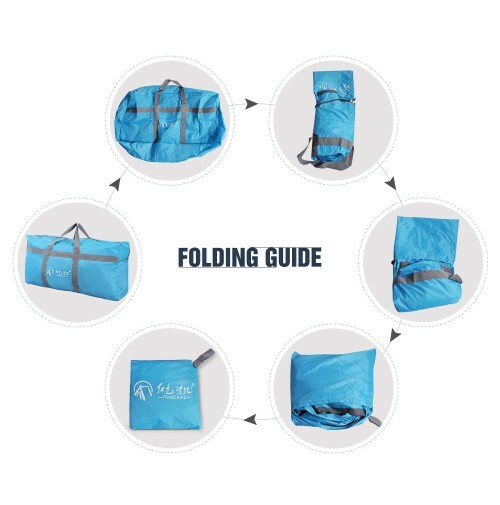 -Unfold dimension is 80x 30 x 40cm / 31x 12x 16 inches (L x W x H); It can be folded into the pouch bag 20 x 23 cm / 8x9 inches (L x W).